From Jim Metrock: This is from over a decade ago, but it shows the mindset of the advertising bosses that have run Channel One News from its founding in 1989 to the present day. Journalists don’t run Channel One News – never have. Educators don’t run Channel One News – never have. 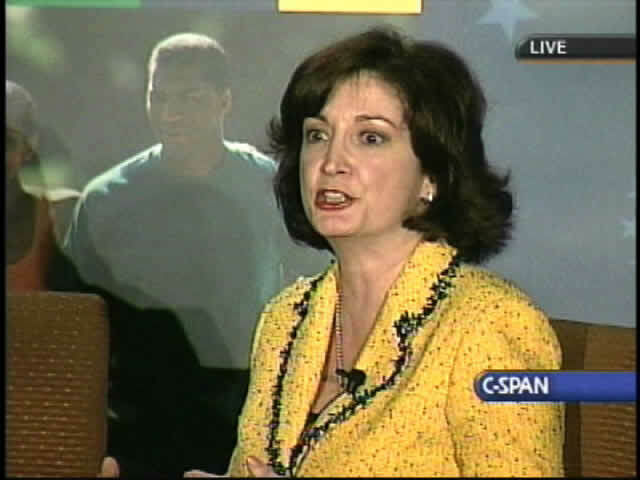 Judy Harris, Channel One CEO, March 2006. Last week, Channel One’s president Judy Harris published a letter to the public. This was probably done in response to the damning Pediatrics study released last Monday. Articles about the study appeared in dozens of newspapers from small-town papers to major ones and in publications as far away as Taiwan and Germany. Her letter is also an attempt to mitigate the damage she did to her company while on a panel discussion at the recent National Governor’s Conference. Incredibly, she openly talked about how media is blurring the line between content and advertising and how advertorials are commonplace on her student TV show. What she did is confess to crimes against journalism. She admitted she and her cohorts have been playing, what amounts to, “dirty pool” with students. An advertorial has been defined as an advertisement that is written and presented in the style of an editorial or journalistic report. Another definition: an advertisement that resembles a newspaper editorial or a television program but promotes a single advertiser’s product, service, or point of view. An advertorial is an advertisement embedded in the content of a story. An advertorial is a trick played on the viewer – in this case, secondary school students. Here is a quick clip of what Ms. Harris said about advertorials. The full clip is found in the February 26 article below. Notice that Ms. Harris doesn’t hesitate a moment when she says Channel One has done advertorials for her young audience. Wait just a moment. Didn’t she say, “Channel One is very serious about its role in producing content that is not skewed, endorsed, or offered to further a personal or corporate agenda”? How can she say one thing and then do the opposite? Well, it’s easy to do when you fall down the rabbit hole called Channel One. Everything is turned upside down at this company. Things are not what they seem. Reporters are not reporters but pitchmen. Words, alas, can mean anything Ms. Harris wants them to mean and, of course, meanings can change. When Channel One’s president says no content will be influenced by advertisers what she means is content will be influenced by advertisers. Any confusion on your part is your problem. Most Americans with “walking-around” sense know mixing content with advertising is a recipe for sure-fire controversy, especially when the content is aimed at teens and preteens, down to the age of ten. Ms. Harris and Channel One know what they are doing is controversial, but they have to do what they have to do. Ms. Harris was hired because she knows how to generate additional revenue from existing content. That is what she did with at her previous jobs. It is not surprising that she appears to care little about maintaining a line between ads and news. Ms. Harris’s job is to stop the revenue-free fall at Channel One. Soooo when February comes around and your company is going to do some stories for Black History Month, why not, without a lot of fanfare, do a story that will tell a chapter of that history AND write the script to help out a loyal advertiser (who quite frankly is helping to keep the lights on at Channel One)? The U.S. Army and other military services have paid millions to Channel One over the years. They run commercials that encourage young people to enlist. The military needs to get their message out, but one can argue about whether those messages should be taking the place of classroom time. There are other much more effective ways to get recruitment information to young people than Channel One News. That said if recruitment ads are to be aired in classrooms, shouldn’t they be clearly defined as an “Army commercial” or a “Marine commercial”? When you watch this video clip, you will see West Point cadets telling black students that the Army is different now, that there is an opportunity here. One of the aims of the story is to appeal to black female students to consider an Army career. 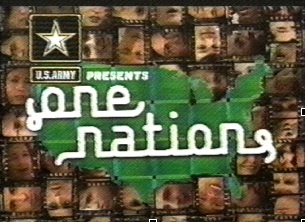 This story is preceded with “The U.S. Army presents Black History Month.” A small Army logo is shown on the opening graphic. There are not suppose to be any sponsored segments on C1N. This in itself is smudging the line between news and advertising. Channel One told schools in the 90’s there would be no advertising outside the two commercial breaks on the show. The reality of the matter is that Channel One News has disregarded its promises to schools and has converted many portions of its show to “sponsored segments.” The reason to do so is simple: It makes more money. The fact that the Army “presents” a portion of the show, however, doesn’t mean that the story has to have anything to do with the Army. Channel One routinely, and in violation of their contract with schools, has a “Cingular Question of the Day.” If one of those questions were “What is the best cell phone service?” and the correct answer was “Cingular” and then they went on to tell students why that is, then it would be equivalent to the U.S. Army sponsoring this story on the dramatically changed opportunities for African-Americans in the Army. Was the “U. S. Army presents” enough to tell students that what they were going to be seeing next was paid for by the U. S. Army to advance their standing with students? No. Since this story was shown in high school and middle schools it reached a very broad age range, from 18 to 10. Young people vary in their ability to discern what is editorial content and what is advertising content. Students are not expecting to see embedded advertising messages in this story. That’s the whole point about advertorials. That is what makes them effective. People trust news stories more than commercials. They cannot be honest with students because the effectiveness of an advertorial is based on stealth. Don’t think that the U. S. Army is the only advertiser getting stories that further their interests. We have seen that with the X-Games, Cobaltcard, NBA Basketball, and most recently with NBC’s Olympic coverage. One only has to listen to Judy Harris to understand that she is taking Channel One News to a very different place than before. It is a place that may make the company some immediate money, but will ultimately alienate many of their remaining schools. The purpose of an advertorial is to embed advertising into content that isn’t suppose to be advertising. The whole point is to play a “little trick” on the viewer. Viewers have different levels of trust. Reporters are more trustworthy than a person in a commercial, therefore get the reporter to quietly sell the product. Advertorials are very controversial. They are much more so when teens and preteens are the ones being tricked. The point of this advertorial by Channel One is to help motivate young black students, both male and female, to feel good about the new and improved Army. Channel One’s reporters are in lock-step with the regular Army ads that appear on the show. CALI: COMING UP — THEY FOUGHT FOR THEIR COUNTRY BUT WERE OFTEN TREATED LIKE SECOND CLASS CITIZENS. BUT FOR AFRICAN-AMERICANS IN THE MILITARY, TODAY TELLS A DIFFERENT STORY. WE’LL TAKE A CLOSER LOOK WHEN WE RETURN. CALI: FROM THE AMERICAN REVOLUTION TO THE WAR IN IRAQ, AFRICAN-AMERICANS HAVE FOUGHT IN EVERY CONFLICT THAT THE UNITED STATES HAS ENGAGED IN. YET FOR 150 YEARS, THEIR INCLUSION IN THE MILITARY WASN’T MUCH WELCOMED, NOR THEIR CONTRIBUTIONS WIDELY RECOGNIZED. SO TODAY, AS WE CELEBRATE BLACK HISTORY MONTH, WE LOOK BACK AT THESE UNSUNG SOLDIERS. ERROL BARNETT HAS THE STORY. ERROL: THE U-S MILITARY ACADEMY, WEST POINT. HERE, YOUNG CADETS ARE PREPARING FOR THEIR FUTURE… ONE THAT INCLUDES THE ARMY AND ALL OF THE OPPORTUNITIES IT WILL AFFORD THEM. 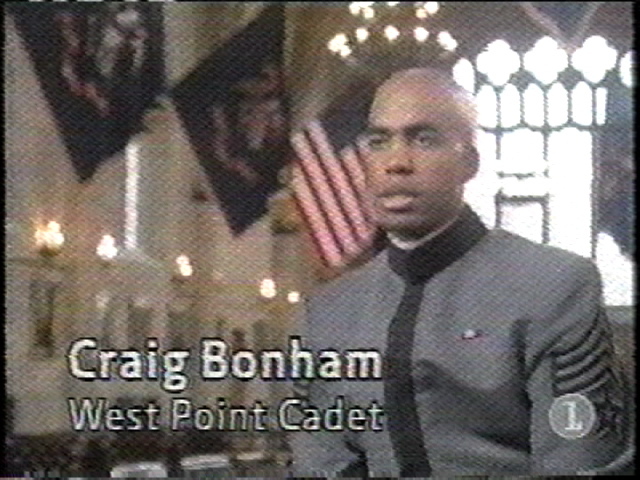 CRAIG BONHAM — WEST POINT CADET: I CAN BE AN OFFICER, I CAN GO TO ANY BRANCH OF THE MILITARY THAT I WANT. I CAN EXCEL, I CAN TAKE ON ANY LEADERSHIP POSITION IN THE ARMY THAT I’D LIKE TO. ERROL: FOR CHANNA LARRY, IT MEANS PREPARING TO BECOME AN OFFICER. 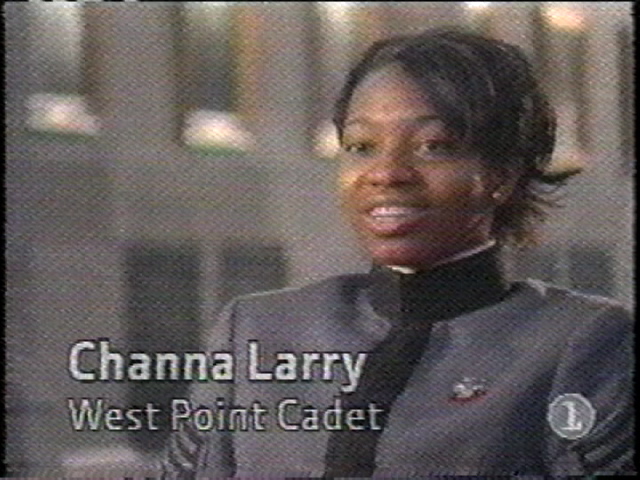 CHANNA LARRY — WEST POINT CADET: IT MEANS A LOT TO ME TO BE MORE THAN JUST A LEADER IN THE MILITARY, I WANT TO BE A GREAT LEADER IN THE MILITARY. THE MILITARY, THE DOOR IS WIDE OPEN. BUT FOR THEIR PARENTS AND GRANDPARENTS BEFORE THEM, HISTORY TELLS A DIFFERENT STORY. THESE ARE IMAGES OF CIVIL WAR SOLDIERS. FEW OF US KNOW THE HISTORY OF AFRICAN-AMERICANS IN THE CIVIL WAR. WHAT WE DO KNOW COMES FROM HOLLYWOOD, IN FILMS LIKE ‘GLORY,’ AN ENTERTAINING BUT NOT ENTIRELY ACCURATE STORY OF THE ALL-BLACK 54TH MASSACHUSETTS INFANTRY. D-C, WANTS THE TRUE STORY TOLD. DO YOU THINK THAT MOST AMERICANS KNOW AND UNDERSTAND ALL OF THOSE CONTRIBUTIONS AND SACRIFICES OF AFRICAN-AMERICANS DURING THE CIVIL WAR? HARI JONES — AFRICAN AMERICAN CIVIL WAR MUSEUM; WASHINGTON, D-C: NO. NO, THEY DO NOT. FOR MANY YEARS, THIS WAS NOT A STORY THAT WAS TOLD OR TAUGHT. ERROL: AT FIRST BANNED FROM ENTERING THE ARMY, EVENTUALLY MORE THAN 200-THOUSAND AFRICAN-AMERICANS FOUGHT IN THE CIVIL WAR. SOME FREE MEN, SOME STILL SLAVES… THEY DID BATTLE ON THE FRONT LINES AND RAN COVERT OPERATIONS. 23 WERE AWARDED THE CONGRESSIONAL MEDAL OF HONOR. HARI JONES: THEY BELIEVED IN THIS WAR THAT THEY WOULD GET AN OPPORTUNITY IN LEAGUE WITH THE CONSTITUTION TO ACTUALLY END THE TYRANNY OF SLAVERY, THAT, THEIR ARGUMENT, THIS IS GOING TO BE A LEGAL INSURRECTION, IF YOU WILL. SO THEY’RE HIGHLY MOTIVATED TO END SLAVERY. ERROL: FOR BLACK SOLDIERS, HOWEVER, THE END OF SLAVERY DID NOT BRING EQUALITY IN THE MILITARY. AS AMERICA FOUGHT IN WORLD WAR ONE, AFRICAN-AMERICAN TROOPS ARE AGAIN RELEGATED TO ALL-BLACK BATALLIONS. HARI JONES: THEY GET POOR EQUIPMENT WHEN IT COMES TO TRAINING. THEY GET POOR SUPPORT WHEN IT COMES TO TRAINING. THERE WAS THIS OFFICIAL POLICY IN THE ARMY THAT AFRICAN-AMERICANS REALLY WOULDN’T MAKE GOOD COMBAT SOLDIERS. ERROL: THOSE SOLDIERS WHO DO SEE ACTION ARE SENT TO EUROPE TO FIGHT, NOT SIDE-BY-SIDE WITH U-S TROOPS, BUT ALONGSIDE THE FRENCH. HARI JONES: THE GERMANS CALLED THEM THE HELLFIGHTERS, BECAUSE IN THE 191 DAYS THEY ARE ON THE FRONT, NOT A SINGLE ONE OF THESE SOLDIERS ARE CAPTURED AND THEY NEVER LOSE ANY GROUND. THAT’S NOT REPORTED IN THE U-S. SO THERE IS DISCRIMINATION IN REPORTING WHAT THEY ACHIEVED. ERROL: THEY ARE AWARDED FRANCE’S CROIX DE GUERRE. HOW BAFFLING IS IT TO NOW TO LOOK BACK AND SEE HOW CONSISTENTLY AFRICAN-AMERICANS STEPPED UP TO THE PLATE, DID THEIR BEST AND STILL WEREN’T REWARDED IN THE SAME WAY? LARRY: KNOWING THAT KIND OF HISTORY DOESN’T… IT AFFECTS MY OPINION SOMEWHAT. ERROL: IN WHAT WAY DOES IT AFFECT YOUR OPINION? CHANNA LARRY: WELL, IT AFFECTS IT NEGATIVELY A LITTLE BIT. AND AT THE SAME TIME, I KNOW THAT PEOPLE AREN’T THE SAME AS THEY WERE AT THAT TIME. WE HAVE A LOT MORE DIFFERENT PEOPLE IN THE MILITARY. AND NOW IT’S MORE ABOUT SERVING YOUR COUNTRY. CRAIG BONHAM: I’M ADDING TO THEIR STRUGGLE. I’M VALIDATING WHAT THEY’VE DONE, WHAT THEY’VE GONE THROUGH. SO IT MAKES ME SO PROUD. ERROL: TODAY, CADETS AT WEST POINT HONOR THE HISTORY OF THE AFRICAN-AMERICANS IN THE ARMY. IT IS ON THE SHOULDERS OF THESE SOLDIERS THAT THEY STAND. CALI: AND AFRICAN-AMERICANS CONTINUE TO EXCEL IN THE MILITARY. NOTABLY, COLIN POWELL BECAME THE FIRST AFRICAN-AMERICAN CHAIRMAN OF THE JOINT CHIEFS OF STAFF, THE HIGHEST MILITARY POSITION IN THE DEPARTMENT OF DEFENSE. HE WOULD LATER BECOME THE FIRST BLACK SECRETARY OF STATE.